Below you can view all the homes for sale in the Bradford subdivision located in Davidson North Carolina. Listings in Bradford are updated daily from data we receive from the Charlotte multiple listing service. To learn more about any of these homes or to receive custom notifications when a new property is listed for sale in Bradford, give us a call at 704 604 8836. This home is an absolute diamond! MLS#3495125. EXP REALTY LLC. Outside Painting allowance will be given. New roof being installed. MLS#3489917. Latta Realty. Better specs and priced way lower than across the road! MLS#3469017. Coldwell Banker Residential Brokerage. With abundant wall space, you can easily park 2 cars & leave plenty of space for bikes, work benches & storage. 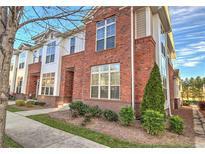 Minutes from downtown Davidson & Cornelius! MLS#3453801. Newmel Properties.